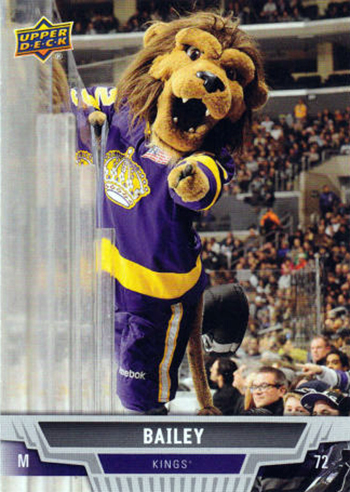 Upper Deck collectors and fans who followed our @UpperDeckHockey Twitter feed over the past couple months may have, on occasion, noticed a slight Los Angeles Kings bias when yours truly was commenting during the playoffs. While I always do my best to keep a neutral tone — after all, the majority of UD collectors and Twitter followers are almost certainly not Kings fans — it was tough to reel it in at times. I am a Kings fan, and I’d like to come clean on that. It happened very much by accident, though in hindsight it seems totally unavoidable. First and foremost, please understand I am not a bandwagon jumper (not that there’s… anything wrong with that). To all those who’ve come aboard this spring or over the past three postseason runs: welcome! Make yourselves comfortable, and please stay as long as you’d like. Hockey is the greatest game in the world and I’m thrilled that you’ve taken an interest, regardless of which team you choose to root for. When I first moved to Southern California in late fall 2007, the Kings were a bad team. Not just bad, one of the worst in the NHL. But having just left hockey-mad Minnesota, where I’d lived nearly my entire life to that point, for sunny San Diego, I was starved for some puck and, well, beggars can’t be choosers. The cable provider that serviced the condo where I lived at the time didn’t carry Prime Ticket, the local channel that broadcasts Anaheim Ducks games, so except for any national broadcasts and the occasional Ducks game on Fox Sports West, the Kings were the only team I could watch on a regular basis. And so, frequently, I did. In the seven NHL seasons since that move, I’ve watched the Kings more than I’ve watched any other team, and though it was never my intention, I slowly but steadily grew quite fond of them. I’ve watched as the team that finished with the second-worst record in the NHL in 2007-08 grew up into, in my opinion, the league’s best team. That’s my subjective opinion, and you can make an argument for a couple teams being as good, but having advanced to the Western Conference Final three straights years and winning the Stanley Cup twice in that time, it’s hard to argue that any other team is better. And a lot of what eventually became the two-time Stanley Cup winners got its start, in one way or another, during that 2007-08 season that only a true die-hard Kings fan could endure. 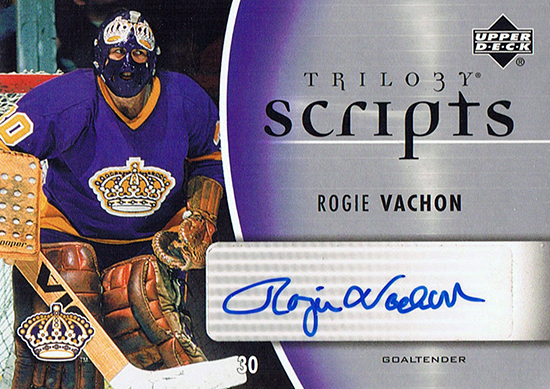 Goaltending had always been a relative liability for the Kings ever since the days of Rogie Vachon. Aside from him, Kelly Hrudey is the only other netminder you’ll frequently find in the team’s top 10 in career goaltending statistics that everyone typically remembers primarily for his time with the Kings. In 2007-08, the team tied an NHL record by employing seven different goaltenders at various points. 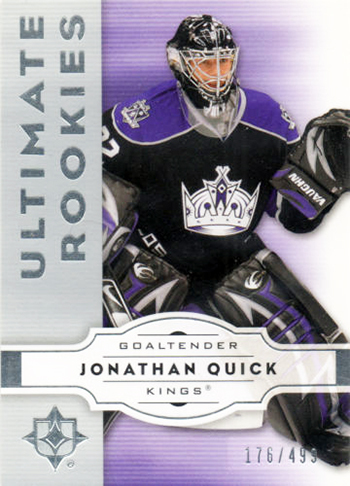 But one of those, making his three-game NHL debut, was Jonathan Quick. 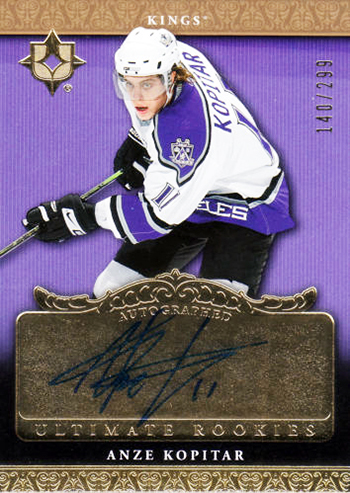 Also that season, the Kings were led in points by a center previously noteworthy for being the first Slovenian-born player ever to play in the NHL, 20-year old Anze Kopitar. He has led the team in points every season since and already ranks in the club’s top 10 in pretty much every offensive category. 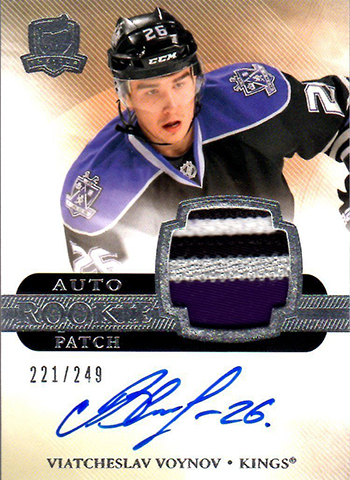 After Rob Blake served his one and only season as a King with the ‘C’ sewn on his sweater in 2007-08, the honor passed to Dustin Brown, who last Friday became the first American-born captain of multiple Cup winners. And finishing second to last has its benefits as well — a prime draft slot — and L.A. used their second overall pick that summer to select OHL defenseman Drew Doughty, who might have been the Conn Smythe Trophy winner this spring if not for the spectacular Final performance of Justin Williams. But lest you forget, with the second pick in Round 2, they took another cornerstone of both the championship teams, Russian defenseman Slava Voynov. A veteran of only three NHL seasons now, Voynov already ranks second in franchise history with 64 career postseason games played, 12 fewer than Doughty. So it wasn’t too long after I started following the team that they started improving, adding a key piece by trade here and there while also developing and promoting high-quality players from within the organization. The more I watched, the more they started to grow on me. It’s amazing how differently this Kings run played out, compared to their 2012 title. That year’s team was the eighth and last seed in the playoffs from the Western Conference, but nonetheless dominated the postseason like few before it: only the 1988 Edmonton Oilers won it all with fewer losses (two) than the Kings two years ago, and only four others had also reached the finish line with only four losses since the NHL went to four rounds of all best-of-seven series in 1987. The 2012 Kings jumped out to 3-0 series leads in all four rounds — winning the first two games of every series on the road — on the way to claiming the first championship in franchise history. They accomplished that with a hyper-disciplined possession game, stifling defense and by forechecking like demons while rolling all four lines. And, of course, when all else failed, they had one of the best goaltenders on the planet, Quick, as their last line of defense. Only three times in 20 games did an opponent score three goals, and never did a team score four on them. It was one of the most remarkable postseason runs ever, made even more so by how unexpected it was: they’re the only eighth seed ever to win it all. But if you weren’t a Kings fan, there wasn’t much drama in it to enjoy. But with every key player — nearly every player, period — from that team still on the roster (16 skaters and Quick, the Conn Smythe winner that year), the Kings path to success this spring bared no resemblance to its predecessor two years prior. Only three games into the 2014 postseason, Los Angeles faced elimination and seemingly had their backs against the wall the entire rest of the way. It’s forever part of hockey lore now, but just to refresh your memory, the Kings played seven games this spring where a loss would have sent them home, hopes dashed, and they won them all (a record). They went the distance in each of their first three series, each time winning Game 7 on the road (no team has ever played three Game 7s to get to the Stanley Cup Final, period). And four times in these playoffs L.A. trailed a game by two goals before coming back to win. In Game 2 of the Final against the Rangers two Saturdays ago, the Kings actually trailed by two three separate times before prevailing in double overtime. And somehow they survived two separate three-game losing streaks in earlier rounds before skating the Cup with yet another double-overtime thriller in Game 5 of the Final. In the opening game of the first ever Freeway Series, May 3 in Anaheim, late-season acquisition Marian Gaborik tied the game, 2-2, with only 7 seconds left in regulation before notching the game-winner in overtime. 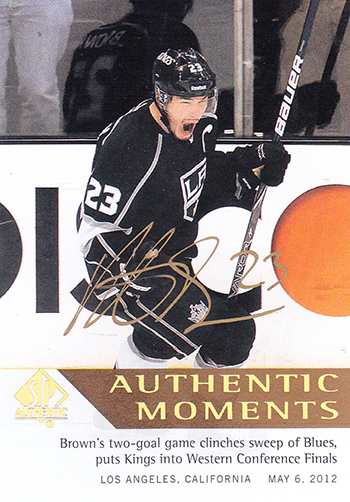 The Kings then won Game 2 at the Honda Center and went home with a 2-0 series lead before losing the next three. They were the ultimate cardiac kids. I’ve met many folks in my time on the West Coast that have been Kings fans their entire life, that endured years — decades in some cases — of mediocrity and frustration to finally get to this payoff. While they now count me as one of their own, I can never truly appreciate their joy, with two championships in three years, without the long view of yawning stretches of years without even making the playoffs, and the frequent one-and-done exits when they did. The Kings’ 10 playoff series victories in the last three years is only one fewer than the total they’d won in their 43 seasons of existence prior. So enjoy it, Kings fans. You’ve certainly earned it.